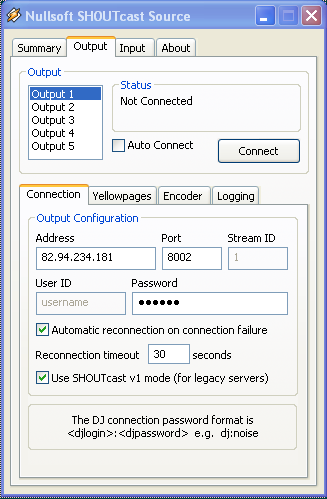 After startup Winamp the 'Nullsoft SHOUTcast Source' window will open automatic. 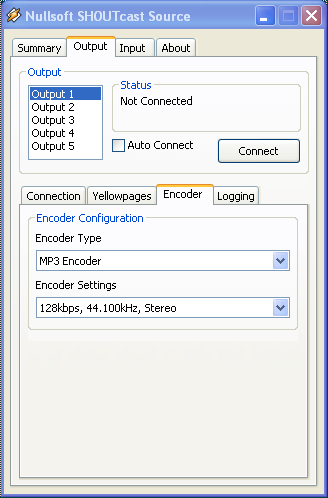 Use your own port number instead of 8002 ! !